This is a two day course that will show you how to paint impressionist style autumn and winter landscapes with acrylic paint. 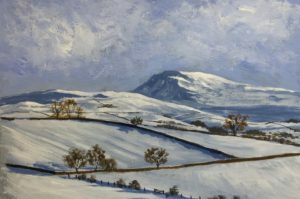 Using photos supplied by the tutor you will be shown how to paint landscapes and buildings in the landscape using a loose and painterly technique similar to that of the French Impressionists. Techniques taught will include colour mixing, scumbling, impasto brush marks and using the paint both thick and thin. By the end of the course you will have produce a couple of paintings. Suitable for beginners and students with some knowledge of the medium.